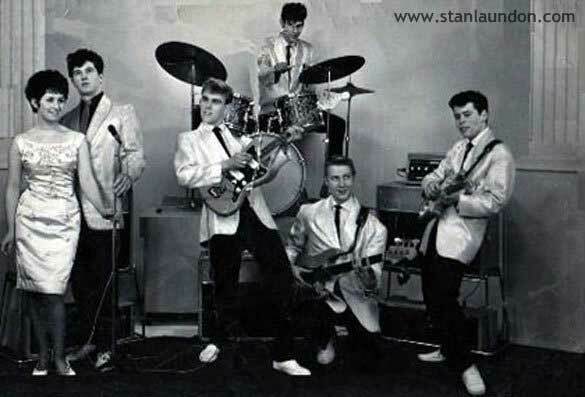 One of Hartlepool's top bands during the mid 60's were The Rock-Avons with Heather Kindlan (Heather Angelo) Ronnie Porter (Johnny Rocco) Alan Lindridge (Alan Leroy) on rhythm guitar, drummer Mike Peacock, Keith Berry (Keith Barry) and Tony Kindlan (Tony Angelo) on lead guitar. Keith later married Heather Kindlan. 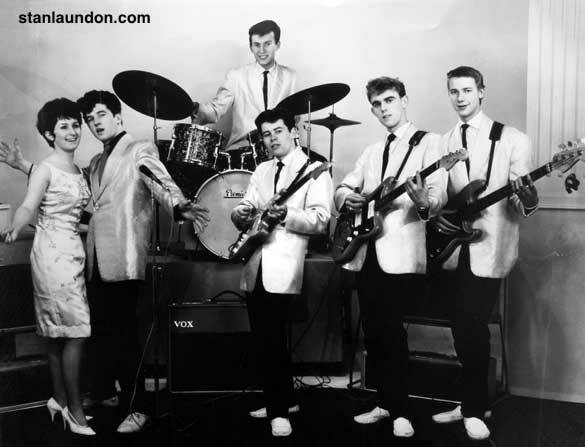 Another golden oldie of The Rock-Avons from the mid-60's with Billy Talbot replacing Mike Peacock on drums. 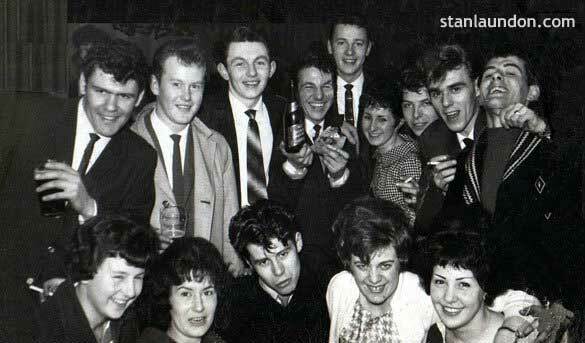 The Rock-Avons with friends and fans at the Queen, Easington Road, Hartlepool on April 13th, 1962. In the back row is Shane (Ian) Shaw (who later formed the band Shane and the Ravons) Malcolm Gilhespy, Tony Donnelly, Alan Braithwaite, Keith Berry, Heather Kindlan, Peter Rackstraw, Alan Lindridge and John Rogan. In the front is Tony Kindlan. 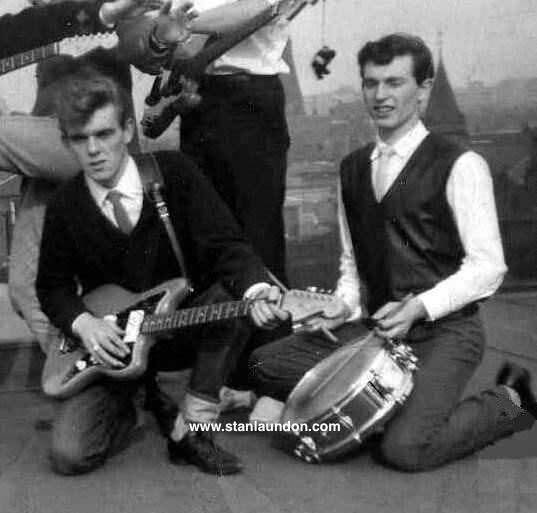 Keith Berry, Alan Lindridge, Billy Talbot and Tony Kindlan at a youth club in Middlesbrough about 1962 and, on the right, Alan Lindridge and Billy Talbot on the roof of the Prospect Hotel, in Leeds, in 1962. 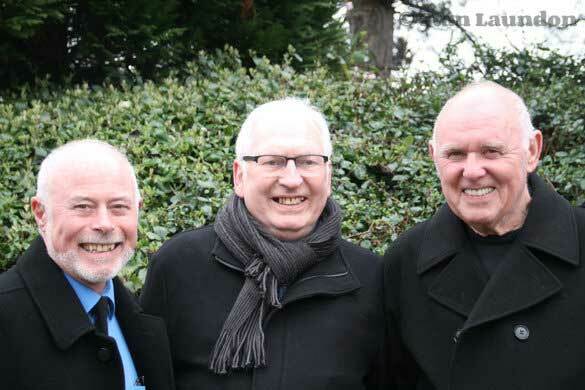 Meeting for the first time in more than 40 years in March 2014 were three Rock-Avons band members Tony Kindlan, Billy Talbot and Alan Lindridge. Photograph © Stan Laundon. 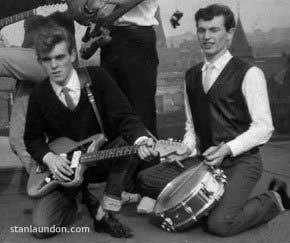 This Rock-Avons cards on this page came from the collection of former band member, Alan Lindridge. 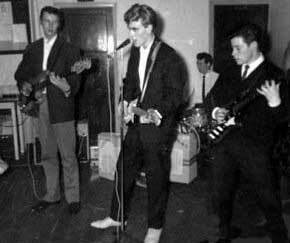 One of Hartlepool's top bands during the mid 60's were The Rock-Avons with Heather Kindlan, Ronnie Porter, Alan Lindridge, Mike Peacock, Keith Berry and Tony Kindlan. 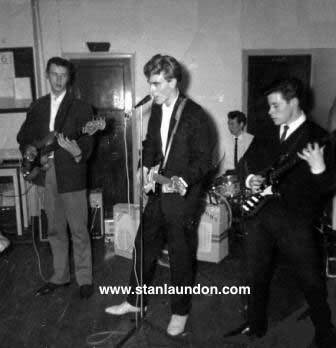 Thanks to former band member Alan Lindridge for sharing his photographic collection on this page.